The FIP Your School Ohio courses were developed by Battelle for Kids in partnership with the Ohio Department of Education to advance the use of research-based formative instructional practices across the state. This FIP Your School Ohio site is still home to many of the complementary resources developed to help Ohio educators facilitate and implement FIP in your school. Since early 2017, the learning modules are now hosted by the Ohio Department of Education at the SAFE Web Portal. Formative instructional practices are especially important in the current landscape of education—learn how these practices and professional learning resources can help you implement new standards, assessments, and evaluation systems. Find out how FIP connects. Are you looking for examples of FIP in action? Want to hear how other teachers have implemented FIP? The FIP video library includes 50+ videos from classrooms across the state. The FIP in Action modules show how formative instructional practices can be applied in real classroom scenarios in a variety of grades and subjects. Access the FIP in Action modules. Powered by Race to the Top, the purpose of FIP Your School® Ohio is a movement to advance and support the use of proven formative instructional practices that accelerate student learning. 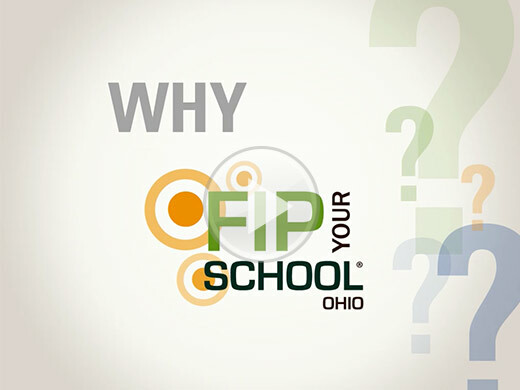 The goal is to make every school in Ohio a FIP School—a school that embraces formative instructional practices as part of its culture. Watch the video and learn more about FIP. © 2013, Battelle for Kids. All Rights Reserved. Developed in partnership with the Ohio Department of Education.